Motorola Mobility has signed a definitive agreement to acquire Swedish IPTV software provider Dreampark. The acquisition is expected to close in the second quarter of 2011. Terms of the transaction were not disclosed. 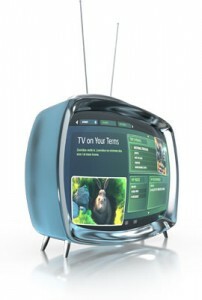 Dreampark’s software portfolio maximises operator flexibility and performance by taking advantage of the powers of open standards, such as HTML and scalable vector graphics (SVG), which, when combined with comprehensive software development kits (SDK) , allows operators to obtain full control of their television portals for complete customization. The Dreampark portfolio is expected to be integrated into the Motorola Medios service management software suite. “This transaction enables us to continue to enhance our Medios software portfolio and capitalise upon the convergence of wireless technology, media, mobile computing and the Internet,” said John Burke, senior vice president and general manager of Motorola Mobility’s Converged Experiences business, whom added that the acquisition of Dreampark, would strengthen Motorola Mobility’s ability to provide systems integrators, service providers, enterprises and content providers with innovative solutions for deploying converged media experiences. Dreampark will be integrated into Motorola Mobility’s Converged Experiences business — complementing Motorola Mobility’s mobile device and home experience and broadening its reach across multiple screens.